When your child has a life changing illness or injury, most people experience significant stress, sadness or loneliness. This hospital experience can be terrifying for both your child and you. So terrifying that 20% of children and 30% of moms experience the full clinical diagnosis of Post-Traumatic Stress Disorder (PTSD). The good news is that research shows trauma can be minimized and outcomes can be improved through experiences that reduce stress. We understand this time is difficult so we collected a variety of resources to assist you in dealing with the stresses of this experience for your child, your family and you. In addition to our whimsical pillowcases, we have partnered with leading pediatric stress researchers to provide information, activities and tools to help you make sense of your many different emotions, feelings and reactions. We hope these resources will provide helpful tips for taking care of yourself and your child, both in the hospital and after you return home. Please be sure to ask your care team what resources your hospital and community have to support you. And remember, taking care of yourself emotionally, physically and mentally will give you the strength to help your child feel better to heal better. Ryan Kerr, the inspiration behind ConKerr Cancer, was a remarkable young man. Ryan’s battle with cancer began when he was diagnosed with Osteosarcoma at the age of twelve. He fought through five cancer recurrences, 30 months of chemotherapy, 15 surgeries, the amputation of his right leg and over 150 days of physical therapy. Ryan’s sickness never slowed him down from living the active and adventurous life he loved. Ryan constantly challenged himself with new things – skiing, biking, skateboarding, rock climbing, scuba diving, cycling – mastering each new skill with courage, grace and aggressiveness. His friends and family were always amazed with his energetic attitude through the exhaustion and pain. Many people do not understand the daily difficulties that were a normal part of Ryan’s routine, such as putting on his leg or trying to maintain his lifestyle through chemotherapy. As a student, Ryan’s curiosity and kindness stole the hearts of all his teachers. He was eager to learn, partake in class discussions, improve his photography skills and spend time with his friends. Throughout his battle, he managed to stay engaged in his studies and graduate from high school. Ryan never wanted his cancer to separate him as an inspiration or provide him with special treatment. He loved wearing his red high-top Converses, so now we use them as a symbol of his vibrant energy for life. Ryan saw beauty in everyone and everything. He was a young man with wisdom and maturity far beyond his age. He learned to be a deeply compassionate, thoughtful young man with a wicked wit, a winning smile and the world’s best hugs. Most of all, he lived his life with such joy and courage that he inspired thousands of people in our community and around the country. His memory, inspiration and light will forever live on in our hearts and in the legacy he leaves through our daily work at Case for Smiles. Ryan’s Case for Smiles would like to extend a special thank you to our partners in lending their expertise in the creation of the content for this website. The Center for Pediatric Traumatic Stress (CPTS; www.healthcaretoolbox.org): CPTS is co-located at the Children’s Hospital of Philadelphia and A.I. du Pont Hospital for Children. They seek to: Increase awareness and recognition of medical traumatic stress by healthcare providers; develop and promote empirically based screening and intervention for children and families who have experienced traumatic stress due to illness and injury; provide training to medical and mental health providers about trauma-informed pediatric medical care. CPTS is a partner in the National Childhood Traumatic Stress Network (www.nctsn.org). 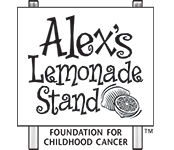 Alex’s Lemonade Stand Foundation (ALSF) emerged from the front yard lemonade stand of cancer patient Alexandra “Alex” Scott (1996-2004). In 2000, 4-year-old Alex announced that she wanted to hold a lemonade stand to raise money to help find a cure for all children with cancer. Since Alex held that first stand, the Foundation bearing her name has evolved into a national movement, complete with supporters and researchers across the country carrying on her legacy of hope. ALSF is dedicated to fulfilling Alex’s dream of finding cures for all types of childhood cancer and supporting children with cancer and their families. For more information on Alex’s Lemonade Stand Foundation, visit AlexsLemonade.org.